As mortuary superintendent Peter Everett has dealt with over 12,000 deaths and assisted in 10,000 Post Mortems, 400 of which were cases of murder, working closely alongside Scotland Yard’s Murder Squad. Obsessed with death ever since, aged 10, he found a body on the beach, Peter (who was adopted) started as a lowly mortuary assistant before working his way up to become one of the UK’s most respected and experienced mortuary superintendents. After leaving the world of mortuaries behind him at the end of the 1980s, Peter was approached by ITV’s The Cook Report to go undercover to investigate the illegal trade in human body parts. Peter stayed with The Cook Report after this initial investigation and became a full-time journalist. He went on to conduct many demanding assignments (everything from infiltrating nuclear submarines to confronting the IRA in Ulster). 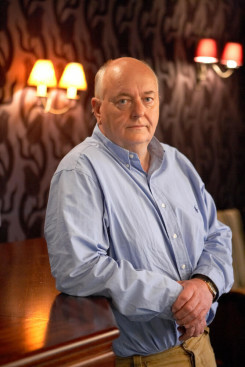 As a covert investigator, he was involved in many programmes for prime-time television, including, Dentists From Hell (ITV), Kenyon Confronts (BBC1), Trevor McDonald Tonight (ITN) and Dispatches (C4).